We are celebrating the 145th Anniversary since Kingston became the Capital on Jamaica. Kingston was founded on July 22, 1692, as a refuge for survivors of the June 7th earthquake which destroyed two-thirds of Port Royal. Prior to the earthquake, Port Royal was the headquarters of the English buccaneers and was known as the “wickedest” city in the world because of the riotous life of the town’s inhabitants including the likes of privateer, Sir Henry Morgan. Kingston is the smallest parish yet the most populated city on the island. 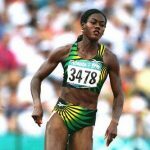 Kingston city proper is bounded by Six Miles to the west, Stony Hill to the north, Papine to the northeast and Harbour View to the east. Two parts make up the central area of Kingston: the historic Downtown, and New Kingston. Kingston is surrounded by the Blue Mountains, Red Hills, Long Mountain and the Kingston Harbour. A magnitude 6.5 earthquake hit Kingston on Monday January 14, 1907 destroying or damaging many buildings and resulted in a massive fire causing further loss of life and property. Kingston Parish Church was built in 1911 on the foundations of the original church destroyed by the earthquake. Kingston is the largest English-speaking city in the western hemisphere outside of the United States and Canada. 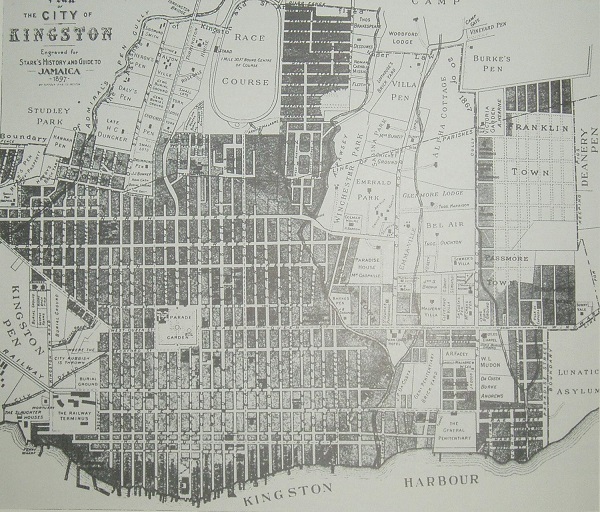 Kingston was designed on a grid system of regularly spaced streets and lanes intersecting at right angles. At the intersection of King and Queen streets is Saint William Grant Park (Formerly Victoria Park hosting a Great Parade Ground and military barracks). The Kingston Railway Station was built along the Jamaica/Georgian lines of architecture. It was constructed on a grand scale, symbolising the economic importance of the city of Kingston as the centre of trade. It was opened in 1845 and closed in 1992. Kingston has several Sister cities including Miami (United States), Guadalajara (Mexico) and Shenzhen (China).